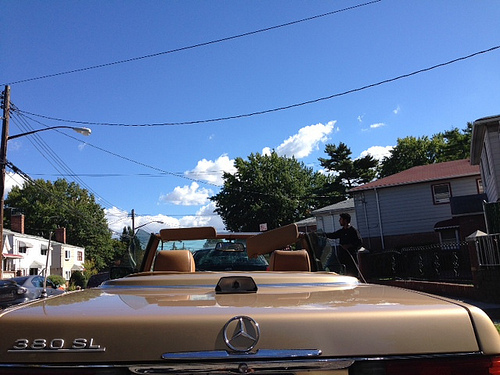 CSL TRANSPORTATION : Brooklyn Life, New York Life. The Goondall family's ground transportation experience dates back since 1970, in Copenhagen, Denmark. In 1980, the family emigrated to New York City entering the taxi/ for hire industry. The family's extensive industry experiences ranges from taxis, black cars to upscale limousine services such as Manhattan Limousine, Carey, and bus companies as Golden Touch and Royal Lines. Rick Goondall started to drive in 1994 on a part time basis to supplement schooling expenses. Mr. Goondall has proudly served as an enlisted and an officer in the Armed Forces. City Sedans & Limousines Transportation was founded by Ricky Goondall in year 2001. Today, our Vision remains the same. Vision: Our vision is to provide the best first class executive chauffeured services possible within ground transportation industry. Our Mission: CSL Transportation's mission is providing reliable service, highly experienced and courteous chauffeurs with the use of meticulous luxury vehicles consistently. Welcome to CSL TRANSPORTATION, (City Sedans & Limousines Transportation). We are a unique ground transportation provider who specializes in catering the needs of corporate personnel, government officials, financial institutions, actors, private aviation and concierges. We have been working successfully with these types of clients because of our 4G service, Guaranteed On time Performance, Guaranteed Experienced and courteous chauffeurs, Guaranteed Meticulous Vehicles & Guaranteed Peace of Mind. We look forward to serving you, and gaining your testimonial.